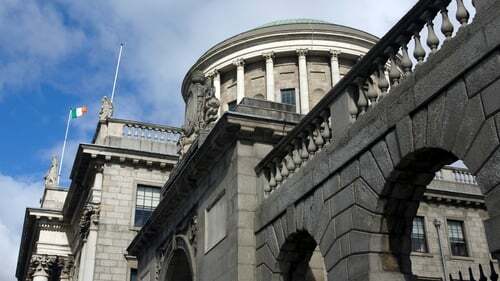 A Limerick man has lost his Supreme Court appeal against his conviction for the murder of a father-of-six on his 40th birthday in a case of mistaken identity. A five judge Supreme Court unanimously dismissed the appeal by Jonathan Fitzgerald, which centred on whether the trial judge should have warned the jury to treat a female witness as an accomplice. Fitzgerald, of South Claughan Road, Garryowen, Limerick, was jailed for life in 2011 after being convicted of the murder of Noel Crawford who was shot on 18 December 2006 while standing outside his parents' home in O'Malley Park, Southill. Michael O'Callaghan, of Pineview Gardens, Moyross, was also charged with Mr Crawford's murder but he was 15 at the time and his plea of guilty to manslaughter, was accepted. Det Sgt Denis Treacy told the trial that O'Callaghan, originally from O'Malley Park, had said he had shown Fitzgerald the way to the Crawford house but had not gone all the way there with him. Det Sgt Treacy also said O'Callaghan had said Fitzgerald had meant to shoot Paul Crawford, the victim's brother. Fitzgerald believed Paul Crawford was behind the abduction of Fitzgerald's sister hours earlier, the witness said. Fitzgerald lost an appeal against his conviction before the Court of Appeal but the Supreme Court agreed to hear a further appeal concerning treatment of evidence of a woman who said Jonathan Fitzgerald and O'Malley had arrived with a relative of hers at her house in O'Malley Park around midnight on 17 December 2006. She had said she overheard conversation among them about a possible attack on Paul Crawford and a reference to making a petrol bomb. She said Jonathan Fitzgerald and O'Callaghan had left the house about 20 minutes later. She had told them she wanted them "out of my house" and she next saw them in the back garden putting on bulletproof vests. The woman and her partner next heard two shots and shortly after there was banging on the door and her relative opened it to Jonathan Fitzgerald and O'Callaghan. She said Fitzgerald had said: "I got him, I got him, I got Paul Crawford" when in fact it was Noel Crawford who had been shot dead. The partner had given a witness statement to gardaí but at the trial claimed he was a drug addict and had no recollection of anything. The jury heard recordings of interviews he gave to gardaí. The decision not to run any accomplice point was that of the accused whose case at trial distanced itself from any involvement with the woman or her partner in relation to arriving at their house and the alleged events after that, he said. Any intrusion of a rule of law which would have made it necessary for the accused to somehow allege the woman had become an accomplice after the fact would intrude into his entitlement, "basic to every criminal trial", to assert through counsel the facts he claimed to be true and which amounted to his defence. It was thus unnecessary to make any ruling concerning what elements of the law can voluntarily be foregone by an accused, he said.